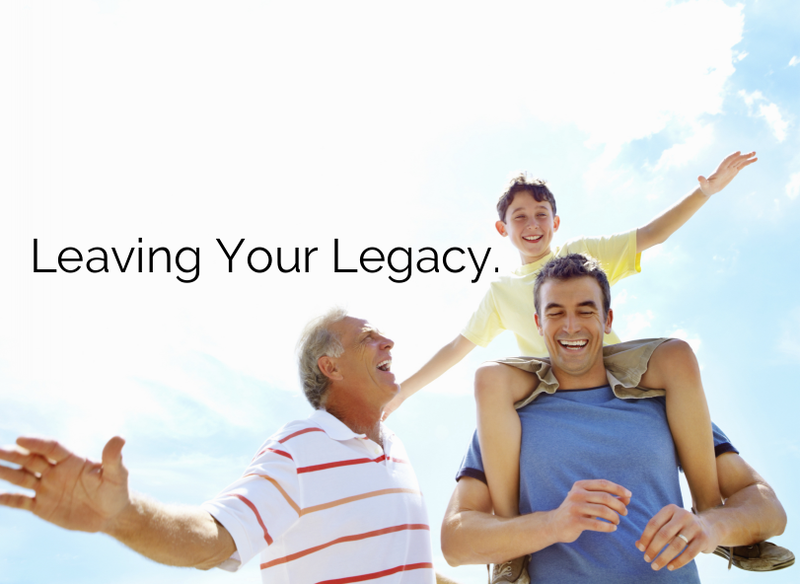 We understand that two of the most important things in life are family and finances. At The Kahn Law Firm, we strive to prepare, educate, and equip you with the necessary tools to understand how to protect your family and your finances. We want you to have an understanding of the laws and rights that may affect you. It can be difficult to navigate the legal system, especially when it involves rights that you may not even recognize you're entitled to. Our goal is to assist and educate you in making informed and effective decisions, in order to allow you to focus on the important things in your life. It can be overwhelming to consider that the decisions you make can affect and impact the future of your family and finances. At The Kahn Law Firm, we take special care to listen to your future plans and concerns, to offer you relevant advice and answers. We provide accommodating, personal legal services with a thoughtful and sensitive approach, while offering advocacy and understanding representation. We guide you through a daunting process and give you the tools that you need to advocate for yourself. Let us help you take some of the fear out of the legal process.﻿ Please give us a call today at (626) 765-4469 to set up a consultation. Deborah L. Kahn, Esq., J.D., M.B.A.
Deborah L. Kahn is the Principal Attorney and Founder of The Kahn Law Firm. She is a Los Angeles, Orange County, San Gabriel Valley, and Inland Empire Attorney who has maintained caseloads in both Family law and Civil litigation. She has represented clients in all aspects of divorce, including appeals. Ms. Kahn has even submitted writs to the California Court of Appeals and petitions to the California Supreme Court. Although concentrating in Family Law and Estate Planning, Ms. Kahn has also performed document review, drafting of operating/business agreements, business formation and incorporating procedures, and various real estate law issues. Prior to Ms. Kahn’s graduation from Southwestern Law School where she earned her Juris Doctorate, she externed at the Children’s Law Center of Los Angeles, where she had the opportunity to be in the courtroom every day. She was one of three students chosen for a year-long fellowship at the Edelman Children's Court. As a certified law clerk, she represented minors in dependency hearings and maintained her own caseload. Also in law school, Ms. Kahn researched, drafted, and argued an appellate brief, where she earned the title of “Honorable Mention Oralist,” a distinction only 20 first year students obtain. Furthermore, while in law school, Ms. Kahn was selected to be a member of the Southwestern Journal of International Law. During her time on Law Journal, she completed several intensive legal research and writing projects. She also wrote an article on a controversial international legal topic, which was published in an online periodical. Post-graduation and after passing the California Bar Exam, Ms. Kahn went on to pursue her passion for business strategy and obtained a Masters in Business Administration at Claremont Graduate University. She successfully completed the Southwestern JD/MBA dual-degree program. Since 2014, Ms. Kahn has passionately worked in the Title IX arena. Ms. Kahn has maintained roles involving complex Title IX investigations at various Southern California Colleges and Universities. Ms. Kahn has conducted numerous Title IX investigations, served as a support person to Complainants and Respondents and also served as Title IX Investigator, Coordinator and an ADA Coordinator. She has experience in all roles and facets involving Title IX of the Education Amendments. Ms. Kahn is diverse from other law practitioners because she is able to see more than just faceless text on a page. When reading facts for the first time, the people behind the actions immediately come to life in her mind. Ms. Kahn brings a humanistic approach to the practice of law. She has a unique ability to hone in on both parties’ strengths and weaknesses and determine the minutia the trier of fact may have overlooked. Ms. Kahn is also fluent in Cantonese and conversant in Spanish. A lover of languages, Ms. Kahn is working to improve her Hebrew language skills. At The Kahn Law Firm we provide affordable full service representation for a reasonable fee. We will always provide you with a specific cost so you will know up front what you will be paying for our legal services. We also offer unbundled legal services by handling a specific portion of your case for a lower cost than handling your case from beginning to end. Document Preparation: We help you with a step-by-step approach in preparing your legal documents to simplify the filing process. Limited Appearance: If you already have an open case and you have already filed your documents, but feel that you would like an attorney to accompany you to court for your court appearance, we offer limited representation to provide you with the comfort of having an attorney that will appear with you in court on your behalf. Mutual Consent Decree: If you and the other party are able to come to an agreement but you want an attorney to help mediate or draft the terms of the agreement and represent your interests in the agreement, we provide those services also. Full service- If you prefer representation from beginning to end, our firm will represent you from the start of the filing of your petition to the final court hearing. Please call us for a consultation at (626) 765-4469. You do — whether your estate is small or large. Either way, you should designate someone to manage your assets and make health care and personal care decisions for you if you ever become unable to do so for yourself. If your estate is small, your plan may simply focus on who will receive your assets after your death, and who should manage your estate, pay your last debts and handle the distribution of your assets. If your estate is large, your lawyer will discuss various ways of preserving your assets for your beneficiaries and of reducing or postponing the amount of taxes which otherwise might be payable after your death. Apart from avoid probate, there are other advantages to using a revocable trust in your estate plan. If an illness or accident leaves you incapacitated, your successor trustee can handle your financial affairs without the need of a court appointed guardian or conservator. If the beneficiaries of your trust are minor children or others who might not use an inheritance as you intend, the trust can continue to hold the assets until they reach a more mature age. If you own real property in more than one state, you avoid the expense, time and hassle of multiple probate proceedings. By using the “A-B” provision in a trust, a husband and wife can pass the maximum estate tax exemption to their heirs. Prevents court control of assets in the case of incapacity. Assets can remain in trust until you want your beneficiaries to receive the assets. May reduce or eliminate federal estate taxes. Inexpensive, easy to set up, and maintain. May be amended (changed) or revoked (cancelled) at any time. Prevents court control of minors’ inheritance. You only need to set it up once during your lifetime. Avoids probate in all 50 states, even if you move to a different state from where you created it. In short, Title IX ensures gender equality in the educational setting in the United States. Therefore, if your institution receives federal funding, and you have experienced sexual harassment, sexual misconduct, sexual assault, intimate partner violence or stalking, you are entitled to specific protections and resources. When you decide to file a complaint, the Title IX coordinator will likely initiate a series of steps to address and resolve the complaint. In most cases, a physical complaint form is not necessary to initiate the complaint process. The health and safety of the individual(s) involved as well as that of the larger College or University community. What steps to take to mitigate the immediate impact of the incident and connect the complainant/claimant with services. Generally, complaints filed with the College or University's Title IX office are typically resolved within 60 working days. That time may be extended due to parallel criminal investigations, police inquiries, school breaks or other events necessary to ensure a fair, complete and thorough investigation. There are two forms of complaint resolution: early resolution and formal investigation. If the investigation finds that there was a violation of your College or University's Policy, depending on the circumstances, the Title IX coordinator will likely recommend that the case be forwarded to a decision maker for the potential initiation of disciplinary sanctions or further investigation. There are two sides to each Title IX incident: The Claimant or Complainant's perspective and expectations and the Respondent's perspective and expectations. It is important that there is parity for both sides during an investigation. What to do when you've experienced Sexual Harassment, Sexual Misconduct, Sexual Assault, Intimate Partner Violence, and Stalking ? What rights or expectations does a claimant/complainant have in a Formal Title IX Complaint? → To have a prompt, fair and impartial investigation. → To review and revise the notes taken by the investigator during your interview. → To present any evidence or the names of witnesses you feel are relevant to the investigation. → To have a support person accompany you to the meetings regarding the allegations. The support person may be anyone, but not a person who has information relevant to the allegations. The support person may not answer questions regarding the subject matter of the investigation. → To be informed of the outcome of the investigation within a reasonable time frame. → To provide feedback, pose questions to witnesses or request additional investigation. → To appeal the outcome of the investigation if the circumstances qualify for an appeal. → To have your information and information pertaining to the complaint kept private (released only on a need-to-know basis). → To be protected from retaliation or any negative action taken against you for participating in the investigation. → Seek support from confidential resources. → Speak and present information on your behalf, free from prejudice. → File a police report and take legal actions separate from and in addition to any Harvey Mudd College process. → File a complaint that initiates an investigation through the College’s resolution process. What to do when you have been accused of Sexual Harassment, Sexual Misconduct, Sexual Assault, Intimate Partner Violence, Stalking. → To pose questions to witnesses or request additional investigation. → Receive a statement of explanation regarding the complaint and the name of the person or organization who has filed it. → Know of any limitations or restrictions placed upon you as a result of the complaint. → Speak and present information on your own behalf, free from prejudice. → Know the status of the complaint throughout the process. What to do if you feel that your College or University has mishandled your Title IX complaint? If you feel that you were treated improperly, the campus policies were not handled properly, or you felt that the complaint and/or investigation itself was mishandled, you have the ability to file a complaint with the Department of Education Office for Civil Rights. You can File a Complaint against your College or University for several reasons such as discrimination on the basis of race, color, and national origin is prohibited by Title VI of the Civil Rights Act of 1964.
Who Can File a Discrimination Complaint - Anyone may file a complaint. The person or organization filing the complaint need not be a victim of the alleged discrimination but may complain on behalf of another person or group. A complainant filing on behalf of or pertaining to another person(s) is responsible for securing any necessary written consent from that individual, including when a parent files for a student over the age of 18. Timeliness - A complaint must ordinarily be filed within 180 days of the last act of discrimination. If your complaint involves matters that occurred longer ago than this and you are requesting a waiver, you will be asked to show good cause why you did not file your complaint within the 180-day period. Note: Your College or University CANNOT retaliate against you for filing a complaint against them. Prompt Response. Trauma-Informed Lens. Reasoned & Well-Supported Analysis. When investigating allegations of sexual misconduct, discrimination and/or harassment, a neutral, trauma-informed lens towards the Claimant(s), Respondent(s), and Witness(es) is imperative. Discrete and Sensitive investigation techniques are required to reach a prompt and well-supported conclusion without delay. Our firm has been trained in the Forensic Experiential Trauma Interview (FETI) approach, The Reid Technique of interviewing and interrogation, and earned a Bachelor’s of Arts in Psychology and Social Behavior. With more than five years of experience in the Title IX arena, our firm investigates allegations with the required sensitivity and care to ensure a thorough and comprehensive investigation, considering all evidence and circumstances available, to ensure a well-reasoned, supported, and fair conclusion. Our firm’s attorney has over five years of experience in the Title IX arena at both large and small, private, and public, Colleges and Universities in California. Our attorney has held roles as a Title IX Investigator, Title IX Coordinator, and ADA/504 Coordinator. Utilizing your own College’s or University’s policy, our firm will create a custom, hands-on training that will satisfy annual training requirements. Trainings can be customized depending on audience. Our firm has experience training public safety, law enforcement, faculty, staff, athletics, resident advisors, board of trustees, parents and 3rd-party vendors. Pending the new 2018/2019 Title IX regulatory requirements pertaining to the availability of remedies for violations, Colleges and Universities will likely soon be required to provide both an investigation and a live hearing for the parties. Currently, many Colleges and Universities have provided a party to a Title IX matter the right to an appeal on procedural or substantive grounds. In the aforementioned circumstances, an external hearing officer may be necessary. As with Title IX investigations, Title IX hearings require a deep understanding of the applicable policy, careful attention to the facts, and sensitivity to the needs of the parties involved. A prompt, thorough, and impartial lens is required in conducting both a neutral hearing and/or an appropriate appeal review. As an experienced Title IX administrator, our attorney provides prompt services as a neutral and fair hearing officer. Further, if necessary, our attorney evaluates the appropriateness of the scope of the hearing and/or the appeal and ensures consistency with the client’s appeal policy. In the context of a hearing, a well-reasoned and supported explanation for each of the findings will be provided to the client. Prompt Response. Thorough Fact Finding. Reasoned & Well-Supported Analysis. Our firm conducts prompt and thorough investigations, with concise and comprehensive analyses. Our attorney has investigated cases involving both public and private clients, with both large and small size organizations. Cases have involved a multitude of allegations with cross complaints and mixed motive allegations. Investigations have been performed involving multiple Claimants and Respondents with allegations involving procedural rights. Investigations include necessary meetings with Claimant(s), Respondent(s), Witness(es), and a thorough review of circumstantial evidence. A preliminary investigation report may be recommended based on the clients’ policy and practices. At the conclusion of the investigation, clients will receive a concise, high quality report with comprehensive analyses, applicable policy and a well-reasoned finding for each allegation. 1. Do I Need an Attorney to help me fight for custody? Representing yourself is very risky. Not only do you not know the law, but you will be held to the same standard as an attorney. The problem with representing yourself is that once a decision is made in your case, the process to rectify the mistake, (motion to set aside or appeal) is very difficult. If you hire a paralegal to represent you, they can only assist you in preparing the necessary paperwork. Paralegals cannot give you any legal advice. When you retain an attorney, you can feel confident that your case will be handled by an individual who has an in-depth understanding of the laws that effect your parental rights and the future of your family. 2. How can an attorney help mediate the terms of custody if my ex and I can’t be civil? An attorney can serve as an unbiased 3rd party who understands the laws and rules of the Court and assist you and your co-parenting partner in creating a child custody and visitation schedule that is fair to both parents. An attorney mediator will help you identify the strengths of your family and help determine a plan that is in the best interests of your child. The attorney mediator will be neutral and they will NOT be representing you or your co-parenting partner. The attorney mediator’s purpose is to serve as a peace keeper, someone who is there for the sole purpose of assisting you and your co-parenting partner in coming to a peaceful custody agreement that is fair and reasonable. Once an agreement is reached, the attorney mediator will assist you in preparing the official custody agreement, which can become a court order if you choose and will thereafter be enforceable by the Court. 3. What is the legal process involved in arranging for child custody? To begin the legal process for filing for child custody, you or your co-parenting partner must file the necessary paperwork to properly request that the Court’s assistance . If you already have a family law case, you will already have a case number and will be filing a Request for Order (RFO). If you are beginning your family law case for the very first time and do not currently have a case number, you will need to file the necessary paperwork to obtain a case number and then file your Request for Order simultaneously, or after you obtain a case number. Most court houses have a self-help center that can assist you with beginning the steps for filing for custody. You can look online or call your local courthouse to determine if these services are available in your area. An attorney can also assist you in beginning this process and filing the Request for Order. For every child custody/visitation Request for Order, you and your co-parenting counselor will be required by the Court to attend mandatory mediation. Normally, this mediation appointment will be given to your after you file your Request for Order and will take place before your hearing date. The appointment will be given to you and will take place at the Court house. The mediator will assist both parents in trying to resolve their custody dispute and create a binding court order if a resolution is reached. 4. What factors determine levels custody? California courts normally make child custody decisions based on the "best interests of the child" standard. The Judge uses this “best interests of the child” standard to determine a schedule for how the parents will co-parent together and share time with their children. Gender of the parent does not give one parent special preference or a greater time-share with the child. The Court cannot use a parent’s gender as a determining factor for basing it’s custodial decision. 2) the frequent and continuing contact with both parents. In addition to these two specific and most important considerations, the Court can also take into consideration other relevant circumstances or factors involved in each unique family. The Court gives this factor great weight. For example, if a child suffers from a severe disability or has other ailments or impairments, the Court may look to factors such as which parent has a schedule that can accommodate a disabled child or where the child will be able to receive the best health care and services. Another example, Judges cannot grant custody to a parent, if a child was born with birth defects because of that parent’s pre-natal drug usage. The previous drug usage (pre-natal or otherwise) is a heavy factor that is extremely relevant to a child’s health and safety. If there is a risk or history of domestic violence, sexual or physical abuse, the Court cannot grant unsupervised visitation in most cases unless the Court finds that the risk or history no longer exists. In California, the law does not state which age Courts will give deference to a child’s own preference. However, children can submit a declaration or give live testimony in Court, if they are able to write coherently and are mature enough to make an educated decision in regards to their own custody. A parent that conveys a desire to support frequent and continuing contact between the other parent and their child, is given great weight in determining custody and visitation. A parent who makes disparaging comments, does not cooperate in co-parenting, and alienates the other parent is looked at poorly by a Judge and weighs greatly in child custody decisions. False allegations of abuse made by one parent made against another parent is taken very seriously by California Courts. California Courts look highly upon a parent who seeks to ensure a stable living environment for their child. This includes working to maintain continuity in their child’s life such as established patterns of care and ensuring that sibling bonds are maintained. 5. What are the main types of child custody? Custody can be shared jointly in both legal and physical custody. Legal custody includes a parent’s ability to discuss a child’s health, education, safety, and welfare. Physical custody involves where the child physically stay’s each night. Joint physical custody is easily presented as a 50/50 child custody schedule. However, joint physical custody may not actually equate to that amount of time. It just invovles each parent having a significant period of custodial time share with the child. Joint legal custody is awarded in most cases, but Courts who award joint legal custody do not have to also order joint physical custody. Although California Courts have wide discretion in granting custody based on the child’s best interests, California public policy favors granting both joint physical and legal custody. If parents are able to decide and agree upon a parenting plan that is in their child’s best interests themselves, it is always better to do so. California law requires parents to attend mediation prior to the date of their hearing to see if they can agree upon a parenting plan. If the parents are not able to agree upon a schedule, a Judge will decide a parenting plan for the child using the “best interest of the child” standard. 6. How do I prove my ex is unfit to be a parent? In instances where you would like to tell the Court that your child’s father or mother is unfit to be a parent, it is imperative that you do so by providing substantial and credible evidence of your allegations. You must provide credible evidence such as witness declarations and/or testimony, expert declarations and/or testimony, credible evidence such as police and medical reports, criminal records, phone records, and photos, etc. The fact that you feel that your previous partner is an unfit parent is not enough. There must be enough evidence to satisfy your burden of proof and prove to the Court that your child’s father or mother is actually unfit. 7. In what situations does the child choose where they want to live? In the past, by common practice, the age has been around age 14 or 15 years old. Depending on the Judge, there are some instances where Court’s will appoint minor’s counsel. The child will not attend Court hearings, but their attorney will meet with them beforehand and either state their preferences or state what has occurred in their lives since the last hearing. Public schools can expel students under specific circumstances. Unfortunately, school officials are expelling students for a wide variety of behaviors (occurring at school or on the way to or from school). Often the behaviors resulting in expulsion are things which in years past would have been handled with after-school detention or, worst case scenario, a suspension. Shockingly, even students with very minor or no discipline records can be referred for expulsion at the discretion of school officials. Students can be referred for expulsion regardless of whether the student also received a citation for juvenile delinquency court for the exact same behavior. If your student is facing expulsion, having an attorney such as Attorney, Deborah Kahn represent your student may make all the difference. If your child is facing expulsion, an experienced expulsion attorney such as Deborah Kahn can help you in several ways. First, Attorney Kahn can make sure that the district has complied with the many procedural protections given to students by the California Education Code. Schools and districts must comply with strict requirements in suspending and expelling students. If schools or districts skip steps, an expulsion could be overturned. Second, Attorney Kahn can help make a much more persuasive presentation during the hearing. It is critical that the student put forth all relevant evidence at the panel hearing, as you do not get "two bites at the apple." In almost every case, any review of the hearing by a Board of Education will be limited to what happened at the hearing. Attorney Kahn can help you decide what written evidence or live testimony should be presented. It is difficult for an attorney to appeal an expulsion decision faced with an incomplete record, although Attorney Kahn has had some success when faced with these challenging circumstances. Third, Attorney Kahn can make appropriate arguments about why the California Education Code does not justify an expulsion. Just because a student is referred for expulsion does not mean that an expulsion is permitted, even if the student actually engaged in the conduct complained of by the school. Some expulsions are discretionary, not mandatory, and Attorney, Deborah Kahn can artfully explain why a student should not be expelled. And for most offenses, a student can only be expelled if one of two factors is proven: first, the student poses a danger to his/herself or others; or second, that no other “corrective measures” are available to get the student to comply with school rules. Making a record about these factors is critical, and understanding the law is a must. You can help prepare for this hearing by getting copies of any awards or honors your child has received, making a list of available character references for your student, and making a list of any possible witnesses to the alleged incident. When working with Attorney, Deborah Kahn, your initial consultation is always a time for you to ask all of your clarifying questions. It is important to gather your thoughts ahead of time and prepare a list of all of the helpful information to expedite this initial meeting. To contact San Bernardino expulsion attorney, Deborah Kahn, please call 626.765.4469. If your child is expelled from school, the consequences are not just having to move to a new school out of the district. It can impact your child long into adulthood. Expulsion carries a stigma that can affect your child’s ability to go to college, obtain a job, and can otherwise significantly impact his or her future prospects. Suspensions and expulsions are widespread across the country, with estimates for the 2011-2012 school year numbering 3.5 million suspensions and 103,000 expulsions nationwide. However, expulsion can also be ordered for infractions of a lesser nature including selling “look alike” drugs or alcohol, profanity or “defying” school staff. An order of expulsion requires that an official hearing be held with the decision determined by the school district governing board, a panel of three appointees and a county hearing officer, or a hearing officer from the Office of Administrative Hearings of the State of California. Although school expulsion is not a criminal act, it is still important to retain the expertise of an attorney in light of potentially serious repercussions. The Kahn Law Firm is one of the only law firms in California with extensive experience successfully representing clients facing school expulsion hearings. You may be able to fight school expulsion first by having your attorney present a strong argument on your child’s behalf at a school expulsion hearing. School expulsions begin with a hearing in front of an independent panel, typically made up of educators and administration staff. The panel hears testimony regarding your child’s case. School officials, witnesses, students and anyone else who is authorized to speak on behalf of your child may be called upon to speak at the hearing. This is why you should consider hiring a lawyer to represent your child. Your lawyer may be able to attack the credibility of the witnesses and the evidence against your child. Your lawyer may also be able to provide evidence that your child is an exemplary student that should not be expelled. After the hearing, the panel will recommend to the school board whether your child should be expelled. The school board can choose to accept the recommendation or reverse it. If the school board decides to expel your child, it does not mean your case is over. You can continue fighting the expulsion. Under California Education Code Section 48919, a student who is expelled from school (or their parent or legal guardian) can appeal the decision with the county board of education. You have 30 days to file an appeal. If your child’s appeal is granted, a hearing will take place in front of a hearing officer or an impartial administrative panel. Your school expulsion lawyer can argue against your child’s expulsion during the appeal hearing. The hearing officer or panel will make a recommendation based on the appeal hearing to the county board of education within three school days after the hearing. The board will make a final order within 10 school days of receiving the recommendation. The board can choose to reverse or affirm the decision. This disciplinary measure of forced permanent removal from school is highly controversial, particularly when used to punish seemingly minor misbehavior. In one case in Victorville a 10-year-old boy was expelled for bringing a plastic toy gun to school. In another case, a 12-year-old girl was expelled from her school for having too many absences, which was a result of her acute lymphoblastic leukemia. The “willful defiance” clause in California Education Code Section 48900(k) is criticized for being overly broad. This rationale accounted for 43% of suspensions and 6% of expulsions in 2012-2013, and included infractions such as not submitting homework or interrupting a class. Fortunately, California is already seeing a diminishing number of suspensions and expulsions as a result of changing approaches to discipline and Assembly Bill 420, passed in 2014. The Bill bans the use of willful defiance as a reason for expulsions and for suspensions for students in grades K-3. The Department of Education released figures showing a 15.2% drop in suspensions and 20% in expulsions in 2013-14 over the previous school year. What Could Happen if Your Child is Expelled From School? Aside from having to change schools, there are severe consequences for being expelled. Expelled students have a greater risk of experiencing negative outcomes later in life. As a result of drastically interfering with academic performance and the possible referral of the student from school jurisdiction to police authorities, the student may become trapped in what is known as the “school-to-prison pipeline.” This term describes how expulsion as a disciplinary measure pushes at-risk students toward a life of crime and makes them more likely to drop out without graduating high school. Often, the school will turn the student directly over to the juvenile justice system, effectively criminalizing him or her early in life. Removal from school reduces a student’s engagement with education, and data suggests that suspension and expulsion do little to deter a student from misbehaving anyway. A recent study shows that suspension or expulsion from school increases a student’s chance of being arrested within the same month. If your child is excluded from access to education, he or she has a higher likelihood of incarceration and unemployment. Will the Expulsion Follow a Student on His or Her Record? Yes. Under California Education Code 48918(k), a record of expulsion will be kept by the school district and is deemed public information. The expulsion record can also be requested from any school that the student may wish to subsequently apply. This can severely impact the student’s ability to get accepted into an alternate high school, as well as into college. In California, a record of expulsion can be kept on file for an indefinite period of time. "Deborah Kahn handled my sensitive case with both exceptional professionalism and efficiency. From start to finish, Deborah and the firm have been extremely knowledgeable, considerate, and thorough. Deborah went above and beyond in ensuring there was always clear communication and attention to detail; I am grateful for her expertise as well as kindness. I highly recommend Deborah Kahn's services to anyone who requires a Family Law attorney." "I was fortunate to have found Deborah to represent me in my highly contentious divorce involving sensitive custody issues. Deborah knew how to wade through the messy facts to posture and ultimately help resolve the divorce. No matter how contentious my case got, Deborah proved to be a steady, unflappable, and consummate professional. She is also one of the nicest and most thoughtful people I know. I highly recommend Deborah as an attorney." An Excellent Attorney and Person. "Deborah is a person you want on your side in a crisis. I am an attorney myself but was swept away by fear and hopelessness in my divorce before I found Deborah. Deborah is a dedicated and sensitive professional with a precise memory for the myriad of factual details in my case. She also proved to be a wonderful counselor and a talented writer. Deborah helped bring my divorce to a satisfactory conclusion. I am truly impressed with her abilities and grateful for her representation." At The Kahn Law Firm, our goal is to help you navigate the legal arena and educate you regarding your rights and opportunities. Below, we have included pertinent information and links to help guide your through the laws, processes, and legal implications. The more you understand about the legal process and circumstances surrounding your case, the more we can help you move forward in achieving the best possible results for you and your loved ones. Please call me today at (626) 765-4469 to set up a consultation. Find information about the California court system, various lawyers, legal aid and other legal help from your local court. Learn information and resources on other legal topics that are not covered in this Self-Help Center. Look up case information and proceeding information including a list of documents that have already been filed in your case. Find out information about future hearings. Learn about the requirements to file for divorce or legal separation to end your marriage or domestic partnership (or both), and where to get help. The Judicial Council adopts legal forms in one of two ways. Under Government Code section 68511, the council may “prescribe” certain forms. Use of those forms is mandatory. The council may also “approve” forms. Use of an approved form is not mandatory, but the form must be accepted by all courts in appropriate cases (rule 1.35). Forms thus are “adopted” for mandatory use and “approved” for optional use. The child support calculator will help estimate your child support obligation or how much you are entitled to in child support. For a more accurate number or to calculate an estimate for spousal support, please contact me for a consultation.